It would be hard to be anything but moved by Joshua Lutz' latest project, "Hesitating Beauty," in which Lutz tries to convey the far-reaching impact that his mother's extreme mental illness had during and after her lifetime. "Blending family archives, interviews, and letters with his own photographic images, Lutz spins a seamless and strangely factual (yet unflinchingly fabricated) experience of a life and family consumed by mental illness. 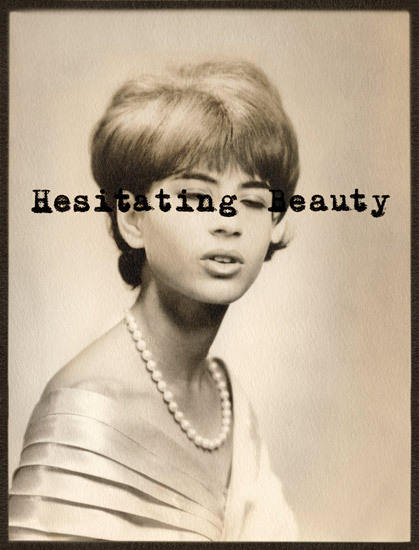 Rather than showing us what it looks like, "Hesitating Beauty" plays with our conceptions of reality to show us what it feels like to grapple with a family member's retreat from lucidity." ClampArt. I encourage you to listen to Joshua's moving interview with American Public Radio. Excellent reviews in American Suburb X and Mother Jones. 'Hesitating Beauty' will be on exhibition at ClampArt from April 11th to May 16th, 2013. The book from Schilt Publishing is out now.